Novotel Ambassador Doksan, a nine-year-old joint venture hotel between Ambassador Group of Korea and international giant hotel chain group Accor of France, has recently appointed its new General Manager, Mr. Rodney Trutwein. 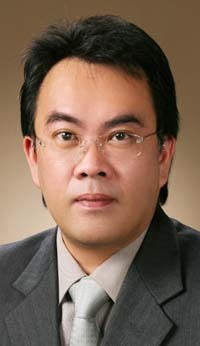 Mr. Trutwein, 43 year-old Malaysian-Australian, has double degrees in Business Studies and Hotel Management from Victoria University in Australia. The new general manager joined Accor Australia in the early 1990s. He was transferred to Mercure Hotel Bangkok as Room Division Director in 1995. He stepped up the top management level when he became the general manager at Novotel Manado in Indonesia in 1997. He also worked as the Regional Director of Sales & Marketing Indonesia at Accor Indonesia, Jakarta office and also as the general manager at Sofitel Plaza Yangon, Novotel Coralia Phuket and Accor Jinjiang Joint Venture in China before he found his new post at Novotel Ambassador Doksan in Seoul. With his 15 years of career at Accor hotels in Asia, Mr. Trutwein is an internationally acknowledged hotel manager with great leadership and will not take much time to become the integral part of development of Novotel Ambassador Doksan and add another great mark on his career with Accor. Novotel Ambassador Doksan, achieving a great deal of success for last decade, is now looking to step further to reach another great achievement for next decade with the new leader in the house.